Did You Know… That the U.S. Almost Dropped A Nuke on the Moon During the Cold War? After the end of World War II and the fall of Nazi Germany, two major global powers emerged: Russia in the east, and the United States (along with its NATO allies) in the west. More than anything, the Cold War was an arms race. Both sides had built up their nuclear arsenals during the war, and both were fearful of having less firepower than the other. Many people thought that an all-out nuclear war was imminent. During this period, the U.S. military came up with the idea of dropping a nuclear bomb on the moon as a show of force. Leonard Reiffel was the physicist who headed the project at the U.S. military-backed Armour Research Foundation in the late 1950s. Reiffel also pointed out that a big influence on the idea was the fact that we were lagging behind in the “Space Race”. In July of 1955, during the height of the Cold War, the United States announced that it would be launching satellites into space. Not to be outdone, Russia announced their own satellite project four days later. 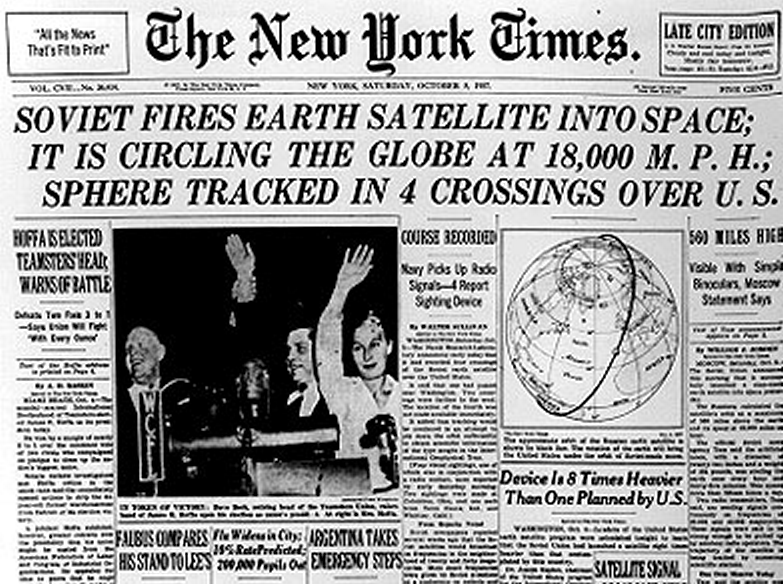 The U.S. lost that leg of the race when Russia launched Sputnik in October of 1957. In 1958, officers from the Air Force had asked Reiffel to ‘fast-track’ a project to investigate what a nuclear explosion on the moon would look like, and what it’s effects would be. So he hired none other than a young Carl Sagan to do the calculation of how a nuclear mushroom cloud would expand in the low gravity environment on the moon. Sagan, who pioneered for the study of potential life on other planets, would later become famous for popularizing science in mainstream culture with his show “The Cosmos”. Despite the highly classified nature of the project, it was later revealed to his biographer that Sagan actually discussed parts of the project in his application for the prestigious Miller Institute graduate fellowship at Berkley (he got in, of course). A spokesman from the Pentagon would neither confirm nor deny the reports. Read the full story from the Guardian here.